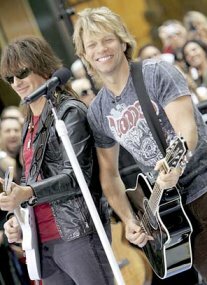 Jon Bon Jovi says fans who are disappointed in his band's light touring schedule for 2007 will be rewarded for their patience in 2008. Yes! More Bon Jovi! 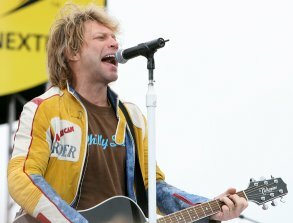 "There's going to be a real tour, but not 'til next year," Bon Jovi told Billboard.com. "They're routing it now. I think it's Japan and Australia for January into mid-February, then the States. Early spring in Europe we'll be outdoors, then outdoors in America - the usual kind of run that we do." Bon Jovi is a Hard rock band originating from New Jersey. Their lead singer is Jon Bon Jovi. The group originally achieved big - and I mean BIG! - success in the 1980's. The band has continued its success as one of the world's most popular and successful rock bands throughout the 1990's and 2000's. 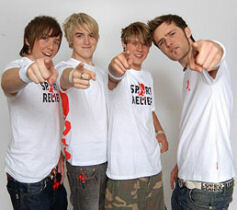 Meanwhile, McFly is flying all around the charts ... in the U.K., that is!! Boy band McFly's collection of U.K. No. 1 singles expanded on May 13th to seven songs over a period of just over three years!! Go boys!! 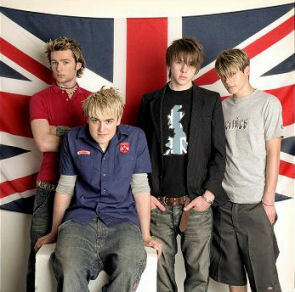 McFly first topped the U.K. charts in April 2004 with "5 Colors in Her Hair". They also just finished their "Up Close and Personal" tour. They've announced their fifth British headline tour for November, to tie in with a greatest hits package also due for release in November. McFly is also working on their fourth studio album for next year. Meanwhile, a "tour edition" of their current "Motion in the Ocean" set was released in the U.K. on May 14 , now featuring the recently recorded "Baby's Coming Back", as well as "Transylvania". McFly is an English pop rock band which successfully launched into the music scene in early 2004 with their number one single, "5 Colours in Her Hair". McFly's name was chosen by Tommy Fletcher who founded the band, based on his love for the American science fiction comedy "Back to the Future" films and Michael J. Fox's character Marty McFly. That's a weird way to choose a name, but it works for them!!! Where does your favorite song rank? ?